By reflecting ourselves, a great narrative challenges us to grow beyond our own preconceptions. Stories entertain, they inform, the make us laugh and they make us cry. Yet regardless of the means with which they express themselves, great stories all share a common purpose. Once you recognize the similarities between the human mind’s problem-solving process and the structure of a story, you begin to understand story as an analogy of ourselves. The Dramatica theory of story bases each and every one of its claims on this idea that a functioning story reflects a functioning mind. The reason we know a film stinks lies in the reality that we recognize a defective psychology. We’re all critics because we know how the mind works. 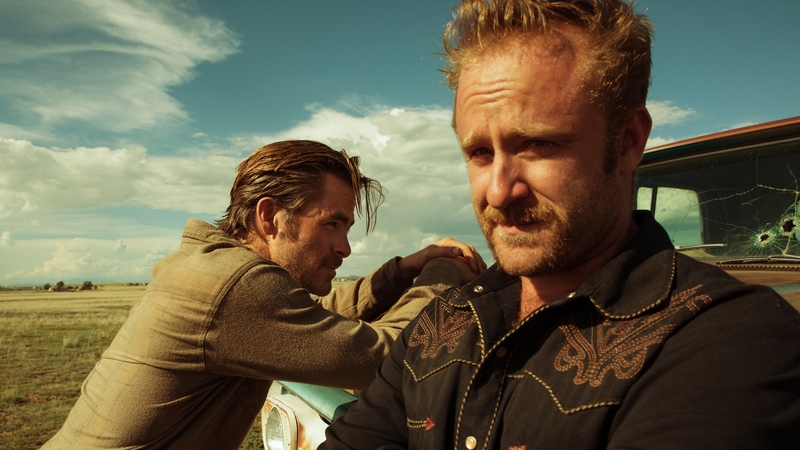 I felt that Hell or High Water was a black comedy. A dialectic of respect vs. disrespect. If the writer wanted to make it a triumphant story, they would have needed to have Toby give the ranch to his son and his son reject it. Thus forcing Toby to reflect on why he did what he did and what he must do to achieve his super objective which is to give something of value to his sons that symbolizes respect. Basically, we are lacking the son’s POV and the son’s objective. But, as I’ve said from the top, this isn’t about change it’s about a lack of it and thus it is a black comedy from my POV. now to my question…Does your desire for monoculture, in regards to dramatic writing, blind you from seeing the true nature of each dramatic play-projected-onto-screen you review? And have you committed the same disrespect to this movie that Toby and his brother commit upon their neighbors? If so, that my friend, is black comedy. However, if you’ll reflect on my reflection, and change your POV…Well than I’d say that’s triumphant. And that’s an ending, I know you’d love. I don’t desire that all stories meet one set of cultural values (monoculture). My standard for evaluation of effective narrative is the Dramatica theory of story—a theory of story based on the concept that every complete story is an analogy to a single human trying to solve a problem. Cultural values do not play into it and are simply affectations added on later either by the Author, or interpreted as such by an Audience member. With Dramatica, stories cross cultures—regardless of origin—as every single last person on this planet operates with the same basic operating system. People will undoubtedly be conditioned and groomed to assume certain givens depending on their geographical location, but in the end the basic method of problem-solving and justification is the same for everyone. From this context, whether or not Hell or High Water is black comedy is inconsequential to the effectiveness of the narrative. In short, it never figured into my analysis as black comedy or not. We still find issues with the film’s replication of the mind’s problem-solving process and feel that obfuscates the ending. After reflecting on our conversation and taking the time to read and digest your response, I think that I was ironically playing the same role as the Europeans vs the Native Americans and the Bankers vs Native Texans in that I was seeking to change, devalue and perhaps wipeout your POV. I apologize. I don’t understand why you only feel effective stories are those that reflect the way the mind solves problems but I need to accept it. I see now that I don’t need to understand it, but rather I need to let it exist. When it comes to using narrative to argue that a particular point-of-view—or approach—to life is more appropriate than another, constructing them to reflect the mind’s problem-solving process ensures the greatest amount of effectiveness. We all know how to argue, can sense when the argument is baseless or incomplete, and through experience know when an argument works successfully enough to change our point-of-view. This is the purpose of a great story: to reflect that process while arguing for the effectiveness of one approach over another. It isn’t so much that you need to let this reality exist, as recognize that it do a indeed exist. Storytelling naturally grew around the problem-solving our minds engage in each and every day. Authors throughout the centuries instinctively use Character , Plot , Theme , and Genre as shorthand for the Motivations, Methodologies, Evaluations, and Purposes of the mind (respectively). Sensing deviations from this organic and observable phenomenon they correct and realign the actions and decisions within their narratives to reflect our own choices. And that is how a great story connects with us on a deeply emotional level. We recognize ourselves.